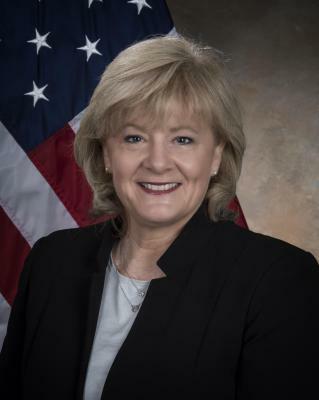 NASA Administrator Jim Bridenstine has named Jody Singer director of the agency’s Marshall Space Flight Center in Huntsville, Alabama. Singer has been the center’s deputy director since February 2016, and has been serving as acting director since the retirement of Todd May as center director in July. She is the first woman appointed to the position. As Marshall’s director, Singer will lead one of NASA's largest field installations, with almost 6,000 civil service and contractor employees and an annual budget of approximately $2.8 billion. "For me, it’s always been about the people. It’s honor to lead Marshall Space Flight Center as we push the boundaries of human space exploration and shape America’s return to the Moon," said Singer. "Marshall has unique capabilities and expertise that are critical to missions that will take humans deeper into the solar system than ever before." From 2010 through 2012, she held deputy positions for three concurrent programs - the Space Shuttle Program, Ares, and the start-up of the Space Launch System (SLS).